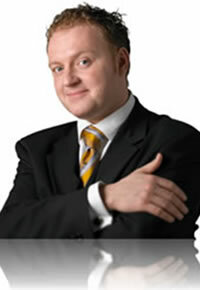 Bill Abbott has the brilliant ability to entertain, with his magic, his humour and his instant rapport with an audience. “Every Trick In The Book” is Bill’s signature show for corporate and association events from audiences of 50-5000. The 60 minute show is full of unique tricks wrapped in hilarious comedy while making your guests the stars of the show. If you’re looking for a laugh out loud, professional performance with magic everybody will be talking about for a long time afterwards – Bill Abbott is your man. Don’t take our word for it. See what others are saying by checking out our testimonials page here! As one of North America’s foremost corporate entertainers Bill Abbott has shared his talents with billionaires, a-listers, sports superstars and Fortune 500 companies across North America, South America, Europe and Asia. Of Scottish-English descent Canadian-born entertainer Bill Abbott was born into a musical family and was performing on stage when he was 5. Later graduating with degrees in both psychology and sociology Bill has used his background in how the human mind works to enhance his illusions and to heighten the experience for his audiences. Author of 9 books and 40 online articles, in addition to 49 products created exclusively for professional performers, over the past 10 years Bill Abbott has developed an incredibly successful and critically acclaimed instructional performance arts based production company. BAM (Bill Abbott Magic) is a internationally recognized production company that equips and instructs thousands of professional performers around the globe. BAM is an online presence that offers original magic effects, illusions and packages the Bill has created and developed, for professional magicians. “Every Trick In The Book” is Bill’s signature show for corporate and association events from audiences of 50-5000. The 60 minute show is full of unique tricks wrapped in hilarious comedy while making your guests the stars of the show. Witness Bill’s ambiguous knack for reading poker tells with a ridiculous level of accuracy – a trip to Vegas would mean untold fortunes! Is invisible teleportation possible? Borrowed items fly invisibly through the air ending up in hilarious places. And the jaw-dropping prediction finale simply has to be seen to be believed. Bill Abbott will leave you with the impression that you’ve just witnessed the impossible – and you’ll love every minute of it! What do Samuel L. Jackson, Charlize Theron and the Toronto Maple Leafs have in common? They’ve all been amazed by Bill Abbott’s magic at a private function. Whether it’s in the private room at a restaurant or the living room of your home Bill Abbott will help you celebrate by bringing the MAGIC to your special occasion. By gathering personal information beforehand about the event and maybe a guest you are celebrating Bill will create custom illusions just for your party! Perfect for birthdays, anniversaries, house warmings, weddings, engagements… in fact anything worth celebrating. Adding Bill’s magic to the agenda will be the icing on the cake and you can rest assured that your party is a smashing success!